The caption says, "History repeats itself with the great leaders". 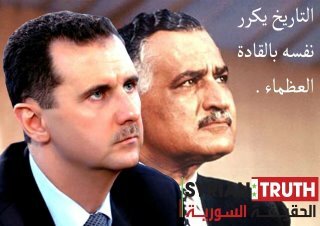 It is supposed to liken Bashar al Assad with Egypt's Gamal Abdel Nasser. I think I'm starting to feel nauseous.